It’s Bradley K. Martin’s fault. A decade ago, his outstanding history of contemporary North Korea, “Under the Loving Care of the Fatherly Leader: North Korea and the Kim Dynasty” sparked my deep-seated curiosity about life in North Korea. Next I read Barbara Demick’s harrowing “Nothing to Envy: Ordinary Lives in North Korea.” Then Adam Johnson’s brilliant “The Orphan Master’s Son: A Novel.” Last week, Blaine Harden’s riveting “Escape from Camp 14: One Man’s Remarkable Odyssey from North Korea to Freedom in the West.” Next in the queue, “Escape from North Korea: The Untold Story of Asia’s Underground Railroad,” by Melanie Kirkpatrick. One can’t read those books and watch those films and not be alternately repulsed, saddened, horrified, angered, and ultimately, changed. I believe most people are rational, well intentioned, and deserving of respect. From the time my daughters first started talking, I took time to explain to them my expectations, decisions, and actions. In turn, I tried to defuse conflicts by listening to them. I believe in non-violent social change. Like Gandhi, I believe that “an eye for an eye makes the whole world blind.” I believe diplomacy always holds more promise for international conflict resolution than military action. And so why did former New Mexico governor Bill Richardson’s and Google Executive Chairman Eric Schmidt’s trip to North Korea anger me so much last week? Because my North Korea self-study has challenged much of what I believe to be true about global politics. I’m not sure anything I wrote in the previous paragraph applies to North Korea. The leadership is not rational and the regime isn’t just evil in the context of contemporary world politics, but in the course of human history. I have absolutely no faith that diplomacy will bring about any meaningful change. I’m not sure of the best course of action, but I know Richardson and “Rock Star” Schmidt are making matters worse by helping delude the outside world that North Korea is changing for the better. It’s reprehensible for Richardson to say, “the naming of a new U.S. secretary of state could also help reset dialogue”. Yeah right, North Korea is the way it is because of Hilary Clinton. That’s an embarrassingly stupid statement for someone with Richardson’s credentials to make. And when a CNN television anchor interviewed Richardson, all she was concerned about was 44 year-old Kenneth Bae, an American being held in North Korea. 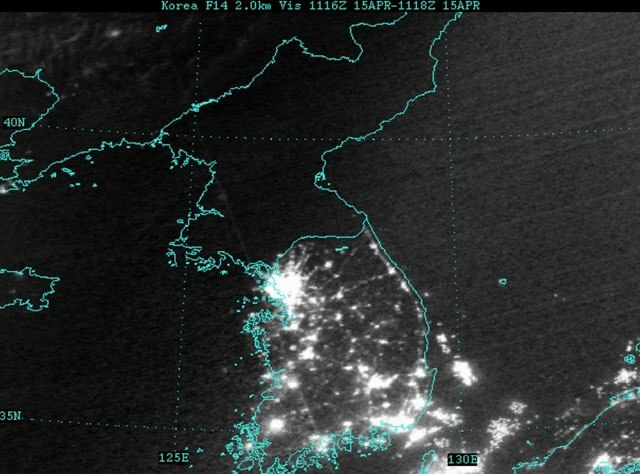 No concern for the 23 million ordinary North Koreans whose lives are the most hellish on the planet. Blaine Harden and Suzanne Scholte explain the problem this way. In part, that’s why I resolve to use this humble blog from time to time to inform others about North Korea, to agitate on behalf of impoverished and imprisoned North Koreans, and to criticize naive, misguided public figures. This entry was posted in Social Sciences and tagged Adam Johnson, Barbara Demick, Bill Richardson, Blaine Harden, Bradley K. Martin, China, diplomacy, Eric Schmidt, Escape from Camp 14, Freedom, Google, human rights, Joshua Stanton, Kenneth Bae, Korea, Korean Peninsula, LiNK, Melanie Kirkpatrick, North Korea, North Korean Economy Watch, Nothing to Eny, One Free Korea, refugees, Shin Dong-hyuk, The Orphan Master's Son by Ron Byrnes. Bookmark the permalink. It makes me think of the statement by Churchill, “The malice of the wicked was reinforced by the weakness of the virtuous.” Clarity, not empathy, is needed now more than ever in so many places. You go Ron. You’ve piqued my interests, having convinced me already to read “The Orphan Master’s Son”. What an eye-opening and compelling read that was.